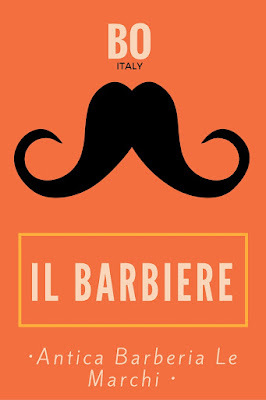 Il Barbiere or the barber shop is a pastime that has not fallen into the shadows, especially in Italy. 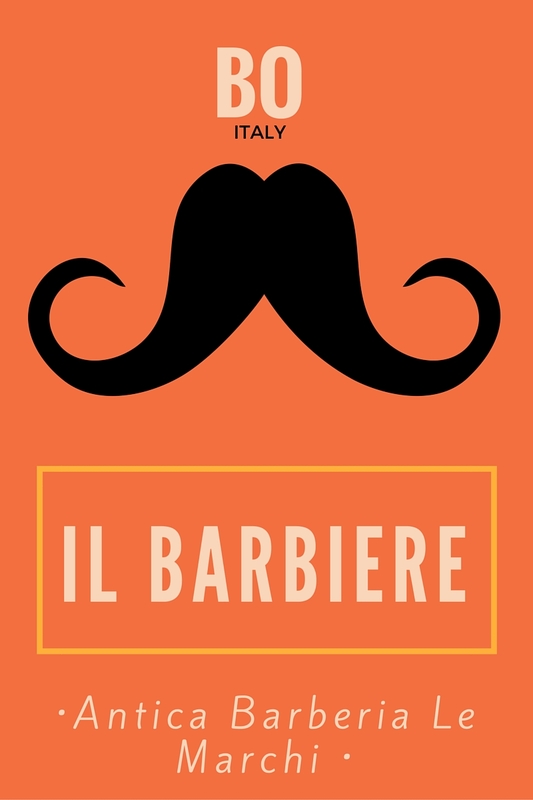 When I started living in Italy, Barbershops quickly became one of my favorite spots to people watch. This may have been because on my walk home every day from Piazza Grande, I would walk the beautifully painted blue ceiling portici of Via Garibaldi in Piazza Cavour and walk past one of the oldest and most interesting barberia in Bologna. The Antica Barberia Le Marchi has lived under the beautiful portici of Piazza Cavour since the late 1800’s and has not changed one bit. Given the odd hours of the shop it took me a while to realize what a wonderful treasure I walked passed nearly twice daily to run errands and go to class. It was the head barber himself that gave away the secret. One day walking through the portici, gazing up as I often did to look at the bright blue intricate detail painted on the portico vaults, I decided to actually look where I was walking and noticed a full man in a white coat, a grey full head of hair and a fantastic silvery mustache taking a cigarette meandering slowly between the columns of the portici. That’s when I decided to look right and notice the barbershop to which he belonged. How could I not have noticed this before? A beautiful glass paned storefront, framed by a perfect old wooden door and window frames. I must have been too occupied by the portici ceilings or checking to see how long the line was across the way at Cremeria Funivia, to notice how beautiful the shop front was, beautiful glass and aged wood, making a crisp and clean appearance and quickly transporting you back to an earlier time. The glass paned storefront allows you a full and clear view of the barber chairs, the barber tools, the outfit the barbers wore themselves and the clientele who were patiently getting hot shaves with a razor to their throat. The insides of the shop are adorned with beautiful antique mirrors, nearly floor to ceiling, framed in a beautiful mahogany wood. Wood pedestal-ed marble topped floating tables adorned the space below each mirror where a set of what look like ancient shaving tools sat. Even the barber chairs seemed original, leather and wood rounded back chairs, and much different than the chairs I always looked when I peeked in the window at SuperCuts! Shelves on mirrored walls are lined with aftershave and other products in fancy bottles for freshly shaven faces and newly cut hair. I became obsessed. The two men who worked in the shop always wore their white coats, pajama like bottoms and “croc”-like shoes. Their hair was never left too long before a cut and their facial hair, always well manicured. I’d walk by and peek in as they were sudzing up their antique shaving brushes to lather their clients face with soap. 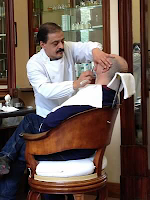 They expertly and effortlessly put a straight edge razor to their client’s throat, clipped their hair with precision, and always left them dazed in a cloud of aftershave. Clients always walked away looking dapper, thoroughly satisfied with their time in the chair and always gave the two barbers many “saluti” as they left knowing they would return soon for their routine cut and shave. I even witnessed the two barbers trimming their own pristine mustaches every once and a while. 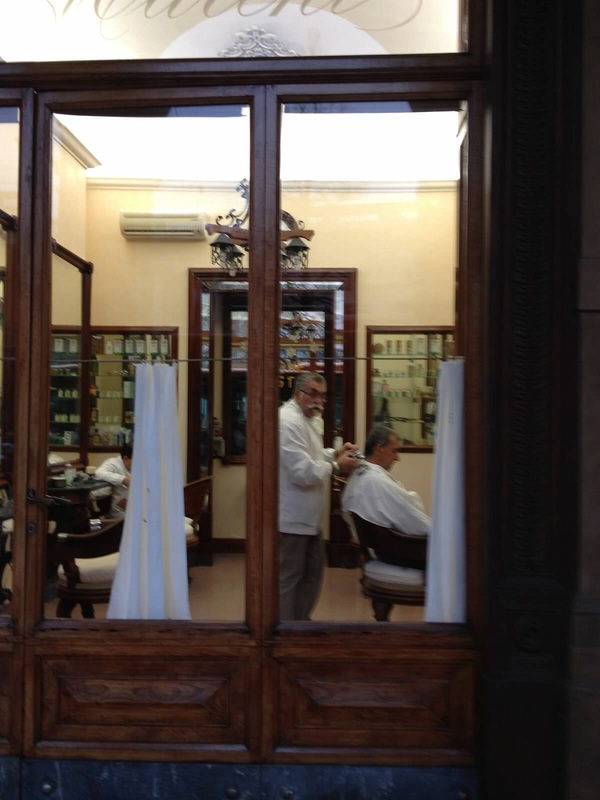 To say the obvious, my eyes became trained to a new routine walking through Piazza Cavour, now I had three things to look at; the blue painted portico ceilings, the line at Cremeria Funivia and the barber duet. Since I fell in love with the shop, I decided to set my Dad up with a hot shave appointment when he came to visit over Thanksgiving. He had quite the experience and he even attested that they gave him the closest shave he has ever had! Complimenti!